Hoselands Hill, the main entrance to Hartley from the north, is a name that is in danger of being lost, as it has been swallowed up into the greater Ash Road. It is a vital part of Hartley's infrastructure and chaos ensues if the road is blocked, because the only alternative routes north are via country lanes, and most traffic originating in Hartley is travelling north. But it makes sense in terms of this series of articles to break Ash Road up into more manageable chunks. 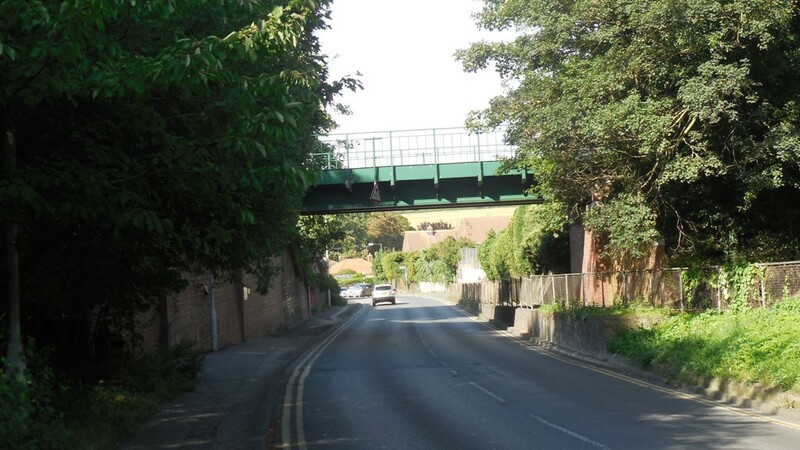 Generally Hoselands Hill is taken to mean the length of Ash Road between the railway bridge and Wellfield. The origin of the name is unclear. Once again there is the problem that there are no references to the name earlier than 1844. A lot of "hoe" placenames are derived from the Old English word "hoh" meaning heel. Our Hoselands does not quite fit the classic profile of such placenames, which is a concave slope to a summit which then gently falls away on the other side, like somebody's heel would look if they were lying on their stomach. 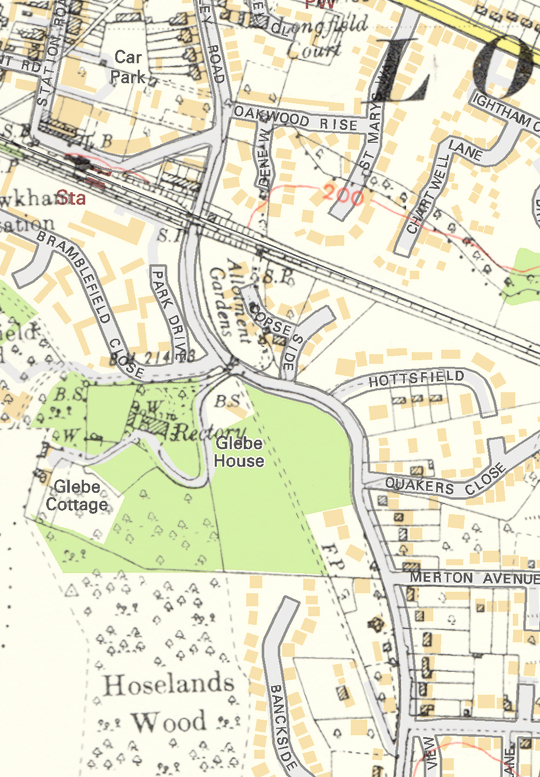 However in many place a hoh placename may be given to any spur of land, which of course Hoselands is, as it lies between the Longfield and Fawkham valleys. Early 20th century accounts suggest a narrow lane carved through the chalk with beech trees meeting overhead to create a green tunnel. Hoselands Hill was a beneficiary of the council's decision in 1907 to engage in public works to help the unemployed in the recession then. Local landowners were supportive, and donated land for widening. Mr Morton of Fairby (the tenant of Hottsfield) even supplied 17½ days of team labour free of charge. Up to 32 men at a time found work here. They widened the road and put down a new rolled flint surface. The photo shows the road was still narrow even after widening, so you wonder how narrow the road was before then! Hartley's rapid growth led to plans to widen the road again in 1924, Dartford RDC got a grant of £293 from the Ministry of Transport towards the £585 cost. The improvements also included kerbing, the addition of a footpath and sloping of the banks. The road was made up of best blue Guernsey Granite and surface tarred, large granite chips were used to prevent slipping. By 1938 the road had acquired white lines in the middle and then catseyes in 1946. Further widening of the west side occurred in 1954. The Parish Council had concerns that the chalk bank was being eroded by frost and rain. Ancient beech trees had to be removed, but the county council planted new ones. The most recent widening occurred in 1968 when the railway bridge was replaced and a gentler curve added. This left a segment of the old road where people used to park to avoid car park charges, but in 1984 KCC put double yellow lines from the railway bridge up to Copse Side and also banned driving along the old section of road. In recent years the traffic island near the Bramblefield junction and the path and dropped kerbs near the railway bridge have been added to help pedestrians. 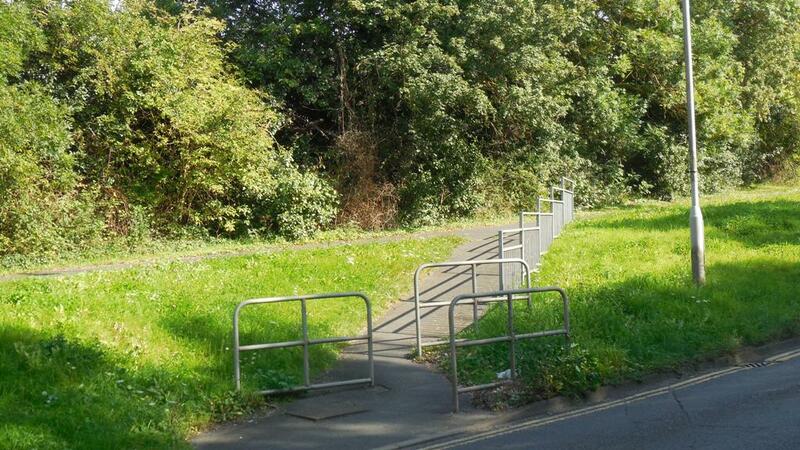 The latter was inserted to regularise an unofficial footpath. 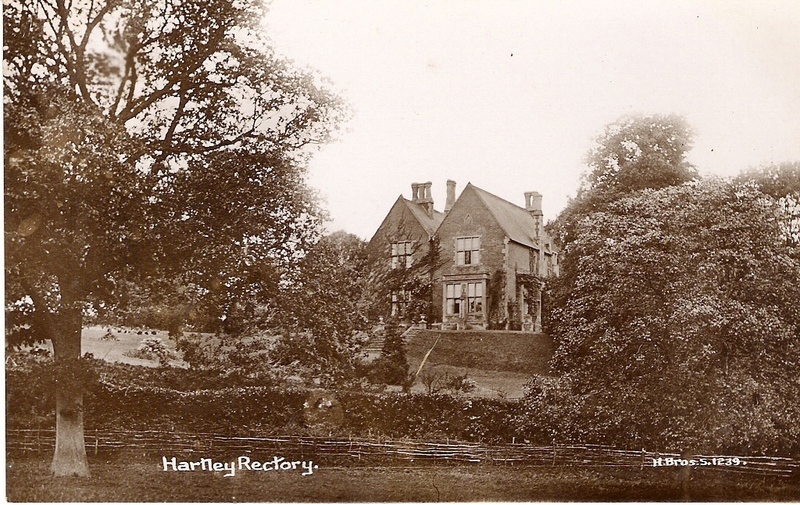 Historically the area was sparsely settled, visitors to Hartley from Longfield would have to travel all the way to Woodins at the bottom of Church Road before they came to a house. And the only buildings in Longfield would have been the Court and Church. 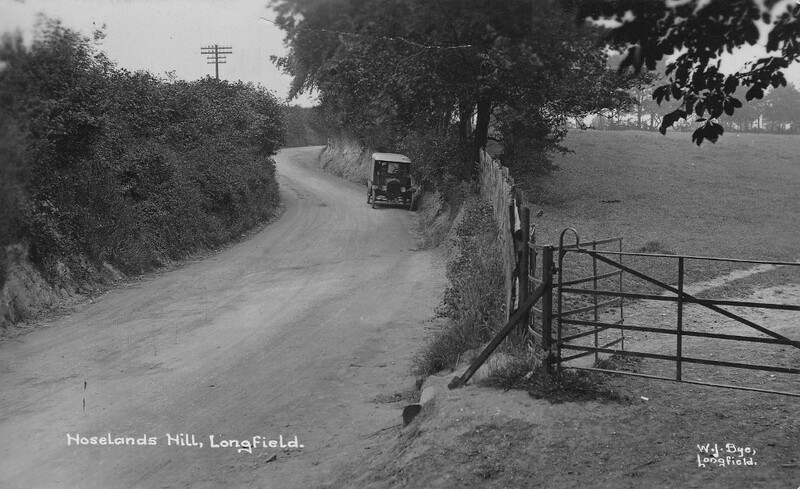 The centre of the village then was at Longfield Hill. The first house built here was the Old Rectory in 1851. Reverend Allen lived at Wilmington before, but was ordered by the Bishop to live in his parish, so he built his parsonage at the nearest point to Wilmington to make it easier for his friends and family to visit! The remains of the house are in the woods there, but are dangerous due to hidden cellars. Three more houses were added before the first world war - Grafton House (1906), Amberley (1913) and The Gables (1915). The first two were built on the Payne and Trapps Fawkham Park Estate. Most of the other houses on Ash Road were added in the 1920s and 1930s. 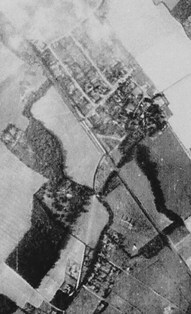 After the war there has been infilling particularly around the unmade road opposite Hoselands Green. Dartford Rural District Council bought 1 acre of land at the bottom of Hoselands Hill in 1921 with a view to build council houses there and they had accepted the quote of local builder William Braybrook of £4,872 to build 6 houses there. However the Local Housing Board vetoed the project as being too expensive. By 1935 the council had abandoned the idea to build here and had let the land out as allotments. Eventually the land became part of Copse Side. 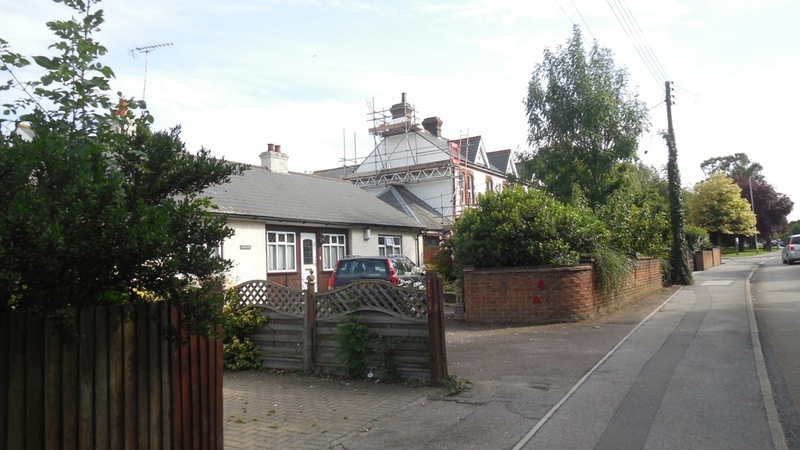 (2) Planning Permission: 2016/1441 Minor material amendment to application SE/15/04045/HOUSE for the Erection of a rear extension and raising of the roof to accommodate a first floor extension to show amendment to rear extension. (2) Planning Permission: 2009/458 Installation of solar panels to the rear. (2) Planning Permission: 1995/790 Erection of a two storey rear extension and new garage roof. (2) Planning Permission: 1996/2035 Single storey side extension to pantry. (2) Planning Permission: 2014/3667 Demolition of existing single storey rear extension and erection of 2 storey rear extension, installation of a rooflight and sun pipe to rear elevations. (2) Planning Permission: 2014/3668 Demolition of existing outbuilding and erection of single storey domestic outbuilding.